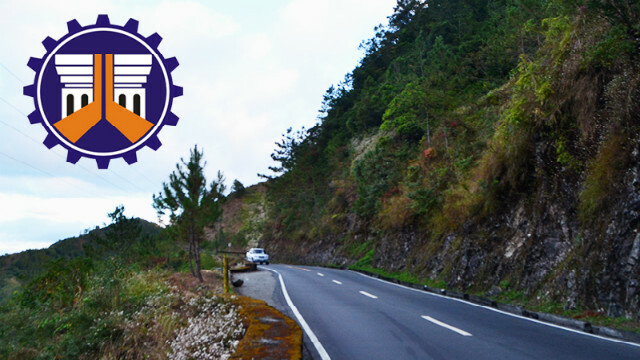 TABUK CITY, Kalinga – The officer-in-charge of the Upper Kalinga District Engineering Office of the Department of Public Works and Highways (DPWH-UKDEO) is now being requested to be relieved and transferred to a district outside the province because of his alleged poor performance. In a letter to Public Secretary Mark Villar, Provincial Administrator Henry Gupaal, Pastor Bencio Ladyong and Ricardo Macanas Jr., claimed that DPWH-UKDEO officer-in-charge Engr. Teodoro Owek already must be relieved from his office and transferred outside the province because he reportedly failed to effectively and efficiently perform his duties and responsibilities as an overseer of the implementation of quality infrastructure projects in upper Kalinga. “With him (Owek) as OIC district engineer in the province, Kalinga is moving backward because the situation in upper Kalinga is getting worse,” the petitioners stated in their letter to Secretary Villar dated August 28, 2018. The provincial official claimed that there are allegations of corruption in his office and that he reportedly favors contractors who happen to be his relatives. Worst, the signatories disclosed that infrastructure projects being implemented in upper Kalinga are allegedly substandard considering that the programs of work are not appropriate. Such is the case of the Malayong-Ableg road, which is allegedly a waste of public funds because the project should have been widening of the road instead of the programmed riprapping that made the road narrower. Another example of alleged poor performance on the part of the embattled OIC district engineer, according to the petitioners, is the construction of flood control project in Poblacion, Tinglayan wherein the program of work prepared by the district stated that the aggregates will come from Tabuk City, which is over 60 kilometers away from the project site. During the actual construction the contractor allegedly procures aggregates from the Bonog river instead. The complainants attached to their complaint against Owek the minutes of meeting where the concerned punong barangay reported the alleged anomalous practice of the district. Further, the petitioners explained that another alleged rigged bidding awarded to BMJ Builders, a purported lone bidder, was the construction of the Limood-Amdalao road in Pasil amounting to P52 million funded under the Pamana funds under the Office of the Presidential Adviser on the Peace Process. The petitioners suggested that Owek should be replaced with a regular district engineer because the province cannot afford to move backward, considering that Kalinga has been a 5-time Seal of Good Local Governance (SGLG) awardee and was recently recognized by the Department of Trade and Industry (DTI) as one of the most competitive provinces when it landed in 19th place among the 82 provinces nationwide and was the only province in the Cordillera to receive the coveted award. The provincial administrator urged Secretary Villar to investigate the issues raised against the supposed erring district engineer to appreciate the corruption issues being hurled against him and for his office to be guided in taking the appropriate actions against the OIC district engineer based in the province.